ENMET, LLC is committed to providing gas detection solutions with quality products and services that conform to customer requirements. ENMET’s focus is to provide innovative solutions utilizing sound engineering and quality manufacturing practices that meet ISO 9001-2015 and AS9100D-2016 requirements. Management’s goal is to involve every employee in the continual improvement of all ENMET’s systems by providing the means and resources to encourage full participation and foster a spirit of innovation. 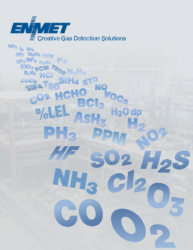 ENMET has been in the forefront of creative gas detection solutions since its inception in 1970 by Dr. Verne R. Brown. 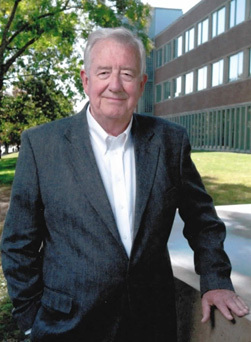 As a result of his passion for employee health and safety, Dr. Brown founded Environmental Metrology Corporation (later to be abbreviated ENMET Corporation) to develop solid state gas and vapor detectors for industrial health and safety applications. He established a reputation as an excellent instructor and speaker, and from 1975 until the time of his death in 2013, he gave confined space safety seminars to safety councils, hygiene associations, private employers, and safety equipment distributors throughout the United States and Canada. Dr. Brown was a member of numerous safety industry organizations and committees including the American Society of Safety Engineers (ASSE), American Conference of Industrial Hygienists (ACGIH), American National Standards Institute (ANSI), American Industrial Hygiene Association (AIHA) and instructor for Confined Spaced Development and Training Courses. Meeting the needs of an extremely diverse market over the years, ENMET has earned a reputation for its ability to accommodate specialized applications. During the first few years, ENMET Corporation produced gas and vapor detection equipment for vehicular applications in the consumer market, such as powerboats and recreational vehicles. ENMET also began to manufacture low-cost, portable gas detection devices for industrial applications due to the great demand in personal safety equipment in many industries, as a result of the Occupational Safety and Health Act of 1970. In 1974, ENMET Corporation introduced an entirely new concept to the industry – a hand-held, multi-function gas detection device to selectively monitor toxic gas, combustible gas or oxygen deficiency. The CGS-10 Tritector, as it was known, greatly influenced and motivated the rest of the industry and many competitors to develop similar multi-function instruments. ENMET product innovation carried over into subsequent developments. In 1977 ENMET Corporation began producing single and multi-channel stationary gas detection systems for factories, wastewater treatment plants and other industrial facilities. 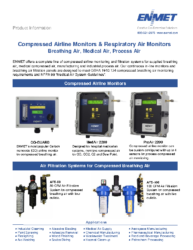 Because of its versatile product designs, ENMET used the same technology to engineer a carbon monoxide monitor, the ISA-RAL, for supplied-air respirators. And in 1980, expanded applications for this equipment by developing an associated odor and particulate-removing air filtration system for breathing-air apparatus, the AFS-50. Resulting applications for the product line include nuclear power plants, asbestos removal projects, industrial cleaning processes, and the iron and steel industries. Dr. Brown saw the need for a specialized instrument designed for healthcare facilities due to the high number of piping system outlets for their requisite specialty gases. 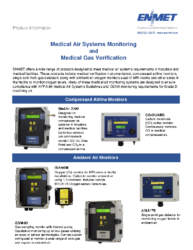 The Matrix medical gas verifier instrument was born out of the need for one instrument with the capacity to satisfy the ANSI/NFPA 99 gas monitoring standards. With eight on-board gas sensing principles, powered with a lithium ion portable power pack, a single Matrix unit can replace a variety of limited range portable units that are used by medical gas verifiers. ENMET’s Matrix represents 35 years of gas and vapor monitoring instrument design coupled with specific design projects pursued by ENMET with U.S. military organizations. 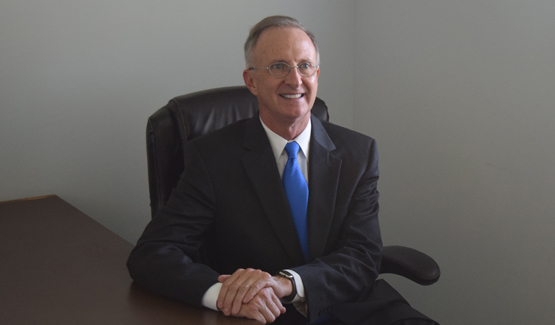 With the passing of Dr. Brown, ENMET Corporation was acquired by Chicago-based Benford Capital Partners in July 2014. The new entity, ENMET LLC, under the leadership of President Norman Davis, Jr., remains headquartered in Ann Arbor, MI. In June 2016, ENMET, LLC acquired Sensora Corporation based in Bowling Green, Kentucky, which has an array of analyzers utilizing Gas Chromatography technology designed to provide trace toxic chemical analysis. With offices and manufacturing facilities in both Kentucky and Michigan, USA, ENMET offers an extensive array of gas detection and analyzing systems for a wide variety of hazardous gas conditions. Hundreds of gases can be monitored utilizing a broad spectrum of sensor technologies. In addition to providing creative gas detection solutions worldwide, we also offer expert technical assistance, including problem assessment and product selection, as well as advice on system installation and training.